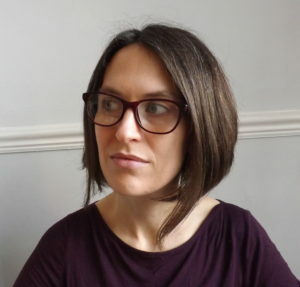 Katie Munnik is a Canadian writer and mum, living in Cardiff, Wales. Since studying theology, imagination and the arts at the University of St Andrews, she has worked with churches to develop story-based education programmes and arts ministries. Her prose and poetry has been published by Geez Magazine, Wild Goose Publications, the Presbyterian Record, in newspapers across Canada and broadcast on the CBC. She is currently working on a novel, Birthwood, about maternal desire and Scottish rooks. Follow Katie on Twitter @messy_table. When I picked up the phone, I was scared. I’d never told a stranger I was pregnant before. It was all so new, I didn’t even really believe it. Maybe I had the maths all wrong. Maybe I was fooling myself. But the woman on the line was warm and reassuring. I’m sure she dealt with scaredy-cats every single day. She asked a few questions, took down my details, then said she would check the midwives’ availability and call back. I held my breath. Waiting for that phone call was almost like peeing on the stick all over again. Where we lived in Canada at the time, midwives were a bit fringe. Accredited by the province and covered under healthcare, yes, but not your typical choice for ante-natal care. Most women went along to their doctor and signed up for a series of regular appointments, scans, tests and the whole shebang, then turned up at the allotted hospital when the fun started. As in the UK, women rarely knew the doctors who delivered their babies. The midwife’s promise of continuity of care sounded so much better. When the phone eventually rang, I was given an appointment date, my midwife’s name and the reassurance that someone would walk with me through this strange new land of baby-growing. My husband told me she was bound to be a witch. We took bets on what she’d be like. I thought old and sensible. Didactic, perhaps. He thought young, pierced, probably wiccan. In the end, she was neither. Middle-aged. Jolly. Irish. Blunt and dangerous. But we’ll get to that. I was surprised by the sofa in her office and the stuffed bookcases, too. A dolls’ house sat on the floor along with a basket brimming with small toys. There was a desk under the window, and a computer with the screen turned off. Above the desk, a painting of the Madonna and Child hung on the wall. Another surprise. Her halo was subtle, her face all rosy and sentimental. The midwife rolled up her sleeves and told me to make myself comfortable. As she took my blood pressure, I scanned her bookshelves. “You can borrow any that you like,” she said. “It’s always good to read up on what’s ahead.” Over the months, I crammed my bag with birth stories and pregnant belly cookbooks. Babyname books, midwife biographies, studies on vaccination, breastfeeding, and infant development. Somewhere along the way, I encountered Spiritual Midwifery by Ina May Gaskin. It’s a strange book – half for mums, half for midwives and crammed with hippy birth stories, sketches of all the positions babies can wedge themselves into and advice for mums and midwives alike. This is one that caught me. A midwife must have a deep love for other women. She knows that all women, including herself, are sometimes as elemental as the weather and the tides, and that they need each other’s help and understanding. The true sisterhood of all women is not an abstract idea to her. My midwife was like that. She could read me like a book. She knew me and what I was going through, and loved me through it. She helped me grow into the mother I needed to be. And she helped those around me, too. When my mum was worried about my home birthing idea, my midwife suggested that I bring her along to an appointment. As I took off my shoes and stretched out on the sofa, my mum didn’t say much. I’m not sure what she was expecting but this room must have been a far cry from the 1970s doctors’ offices she’d know. I adjusted the pillows behind my head and the midwife asked what I was enjoying eating that month. Then it was time for my baby’s heartbeat. I loved that part. I’d wake up the morning of an appointment just happy to know I’d be hearing the baby that day. The midwife always let me listen for a good long time. My mum’s hand resting gently on my leg, as we listened to the pattering rhythm, and the midwife casually asked where she was born. “In Edinburgh,” my mum answered quietly, as if her voice might disturb the baby. “Yes. I suppose I was.” And they both smiled. My mum had thought that it was too risky to have a baby at home and she didn’t want her daughter to do anything so dangerous. Some might say that it is dangerous to take childbirth out of hospitals. Away from monitors and easy surgery. But my midwife taught me that danger might be in the eye of the beholder. So, yes, my midwife was a dangerous woman. She taught me that birth is normal. She taught me that birth works best without fear and then she showed me how to be brave in the face of powerful changes. She taught me to ask questions and to seek experienced answers. She also taught me what hospital-based birth practice can’t do. Like offer real answers to all the what-ifs circling in my brain. Or schedule birth without increasing the risk of necessary and invasive medical interventions. Or make me feel at home and powerful at a time when I needed all my strength to open to new life. Sure, there are times when hospital is the best place for a birth, and I was glad to know that there was a hospital nearby, should I need it. But I was also so grateful to know that, all being well, my midwife could provide me with wise, patient care in my own home. When labour came, my midwife came to my flat, and brought others – a student, another midwife to care for the baby after the birth. Together, they walked with me, talked with me, danced and rocked and held me, helping my husband and me learn the ways of this birthing dance that is both holy and body, and that would bring our daughter through to our arms. That was ten years ago this June. I’ve had two more babies since then, an international move, three new cities, four jobs and a large, precarious pile of freelance work. But my midwife’s lessons still speak to me. I’m still working every day to be open to life, to be brave and patient, and to listen to others’ stories for strength and experience. All dangerous traits, perhaps. But then wisdom always is.